Despite the huge typhoon approaching the Kanto area, we had a full-house meeting with eight guests. Recently, the number of club members has been increasing step by step, thanks to the officers’efforts and the warm atmosphere members create for the guests. Having more members is super wonderful, but we don’t have enough time to talk with all members, which makes me sad. I’d be happier if members understood each other more, so I picked up “what’s up ?” as a theme of the meeting. From the information they gave me, I was able to know what some members had been up to. TM G had been busy preparing for the move to France, TM H had started jogging with TM F and so forth. two CC#10 (final speech of CC manual) speeches…Congratulations on finishing the basic manual! and one speech from the Advanced manual. All speeches sounded like typical Toastmasters speech, which means positive in a nutshell. In their speeches, they talked about how they’d overcome difficulties and become winners. They made the audience feel positive. Thanks for the great speeches. Since we’d have “Tall Tales Area Contest” next day, two in-house contest winners had a rehearsal in front of us. They made us laugh a lot by further-improved props and storylines. Watch out the time and try to be qualified at the contest. 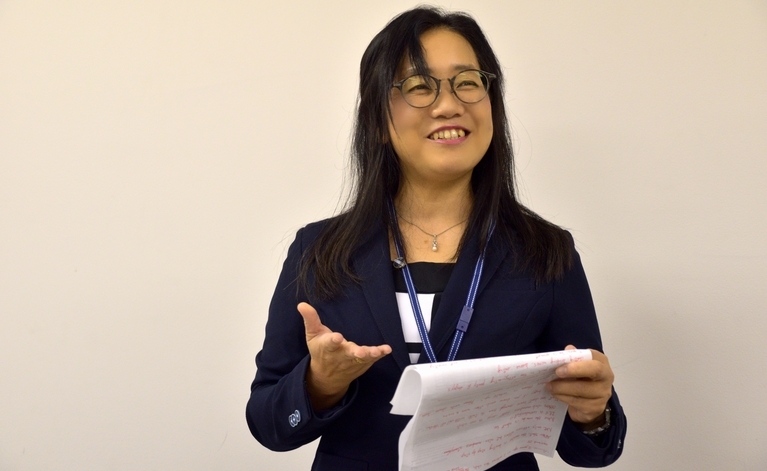 カテゴリー Regular Meeting　タグ #English speech #English conversation # Business Speech #Presentation #Business Presentation, #英語スピーチ #英会話 #ビジネススピーチ #プレゼンテーション, Business Presentation, Business Speech, English Conversation, English Speech, Presentation, ビジネススピーチ, プレゼンテーション, 英会話, 英語スピーチ.